New owners recognized the potential in this residence with an ornamental Chinese design. 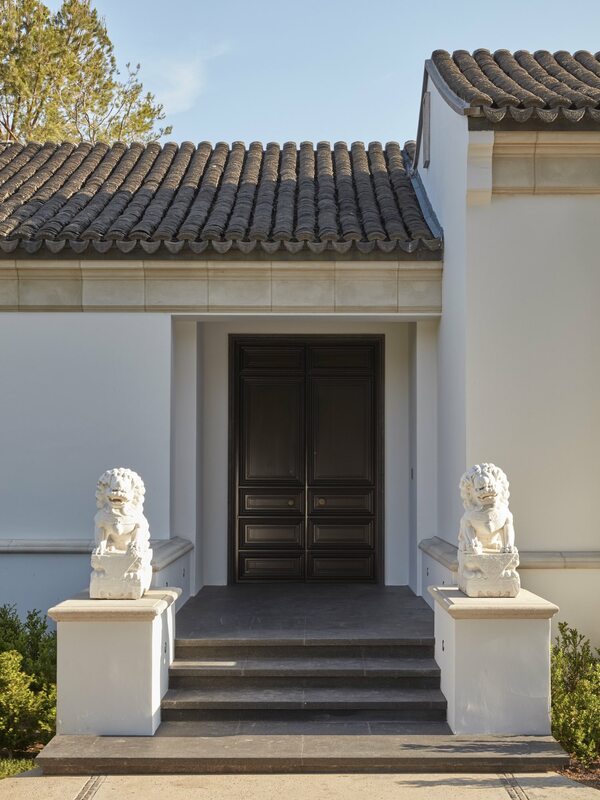 Their goal in the renovation was to honor the house’s architecture while creating a showcase for the couple’s collection of contemporary art. 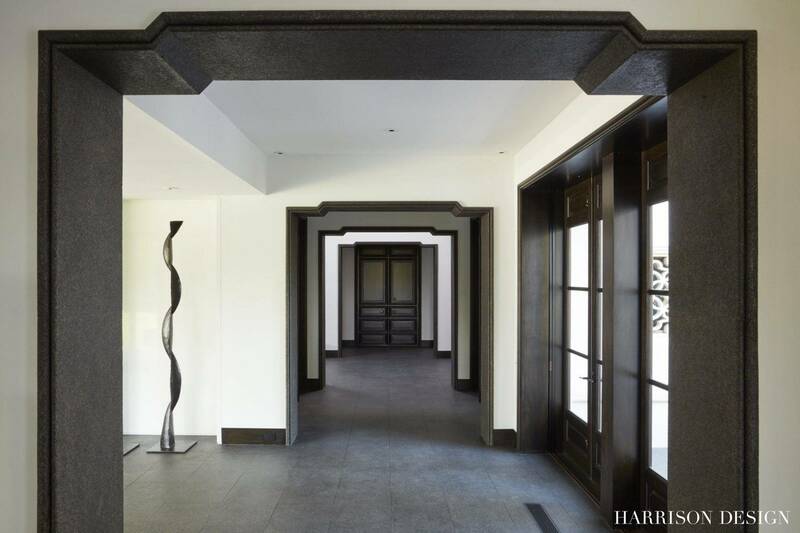 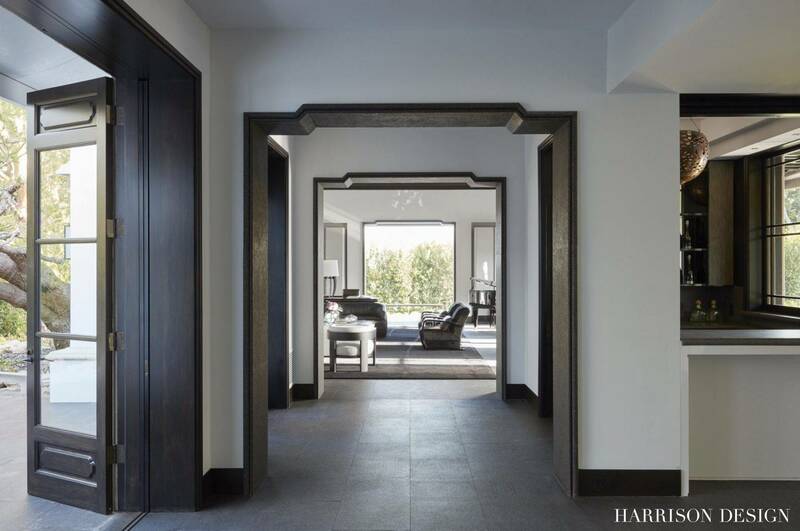 By eliminating heavy doors, interior walls and entire rooms, Harrison Design opened the interior and highlighted the home’s architectural verve, such as the arched, 30-foot ceiling in the foyer and a series of pagoda-shaped portals leading to the living room. 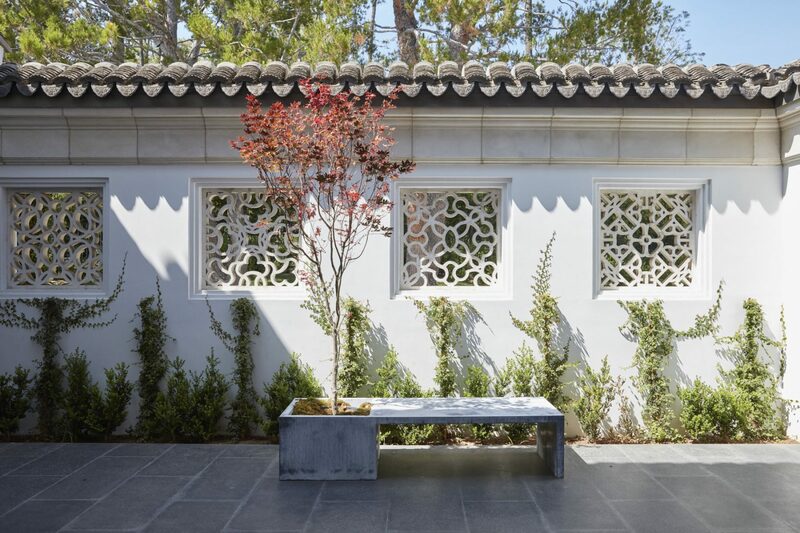 Servants’ quarters were converted into an expansive kitchen and entertainment area with views of the minimalist pavilion and pool.